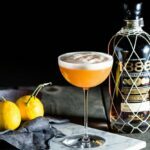 A perfectly balanced silky smooth mezcal sour cocktail that is one of the most refreshing and satisfying sips you can take. Wonderful texture with layers of citrus, a little sweetness and some smoke at the end. There’s even a hidden benefit to this drink. It’s also protein packed and gives you a little workout with all that shaking. 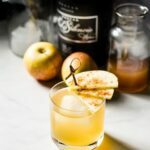 This recipe was first inspired by the classic whiskey sour, then into a Rum Sour, and now to my current favorite sour to sip, the mezcal sour. A sour cocktail that I usually make is made with fresh citrus juice. Since the spirit of this one is mezcal, I decided to do a combo of lemon juice and lime juice, which works wonderfully. It’s totally up to your taste whether you want to do lemon, lime or a combination of both. 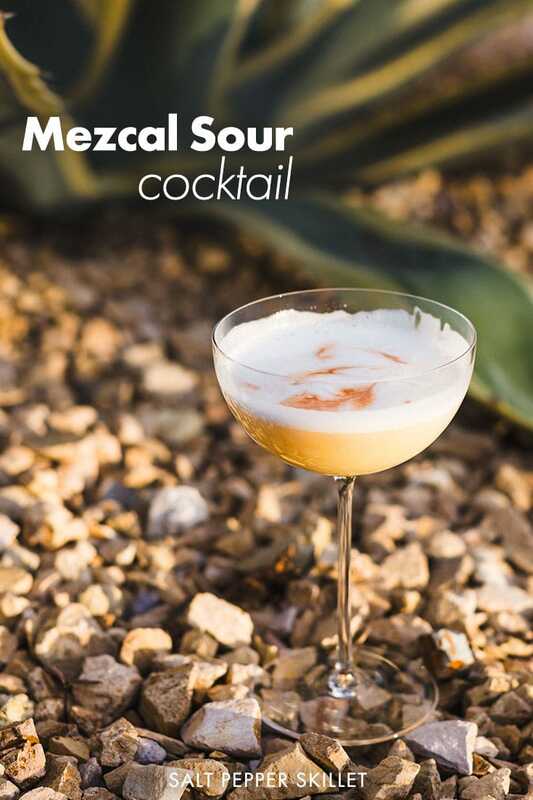 What does Mezcal Sour taste like? A good mezcal is so smooth (like a good tequila) and has a smoky finish. Combining that with the silky texture that comes from the frothy egg whites and perfectly balanced between the fresh citrus and sweetness of the agave. 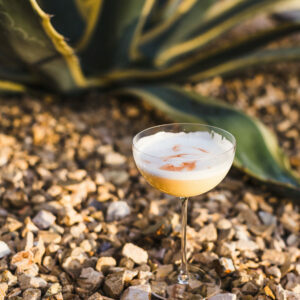 Mezcal, egg white, lemon and or lime juice, agave nectar and bitters for garnish are all you need to make this cocktail. Did you know that a margarita is technically a sour? Mezcal works so well in a margarita too. Check out my Hot and Smoky Mezcal Margarita Recipe. 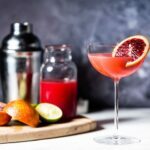 How to make a Mezcal Sour? This cocktail requires a good amount of shaking (which is a great little workout). The first step is to shake the ingredients without any ice to froth up the egg white. About 30 seconds will give a much better froth than just a few shakes. After the egg is frothed, you add in ice and shake some more to chill it all down. 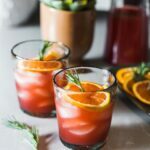 If you are vegan and have a love for frothy cocktails, you can substitute aquafaba (aka chickpea water) instead of the egg whites. 3/4 ounce liquid from canned chickpeas (aquafaba) will equal 1 egg white. 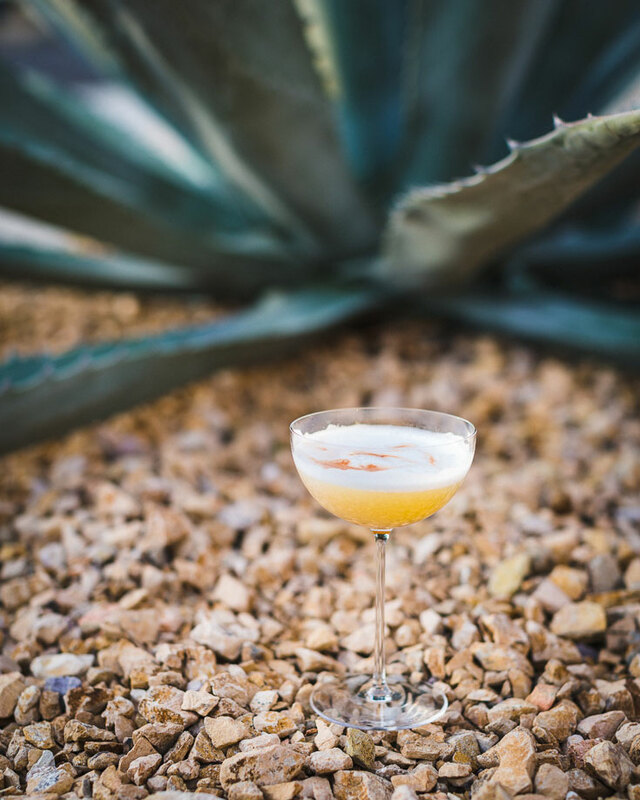 Combine the mezcal, egg white, simple syrup and lemon juice in a cocktail shaker. Shake for about 20 seconds to froth the egg white. Fill the shaker with ice and continue shaking until very cold, about 30 more seconds. Strain through a fine-mesh strainer into a chilled coupe or rocks glass and garnish with a few dashes of bitters. You can use either fresh lemon, lime juice or a combination of the two. Simple syrup can be substituted for the agave nectar.